While not as popular as some of the newer models built by Maverick Boat Company, the Master Angler line of boats has a serious following and has proven itself for years on the water. While the 18 Master Angler isn’t the most shallow drafting boat, it will still get plenty skinny and also provides great storage, stability, and ride. 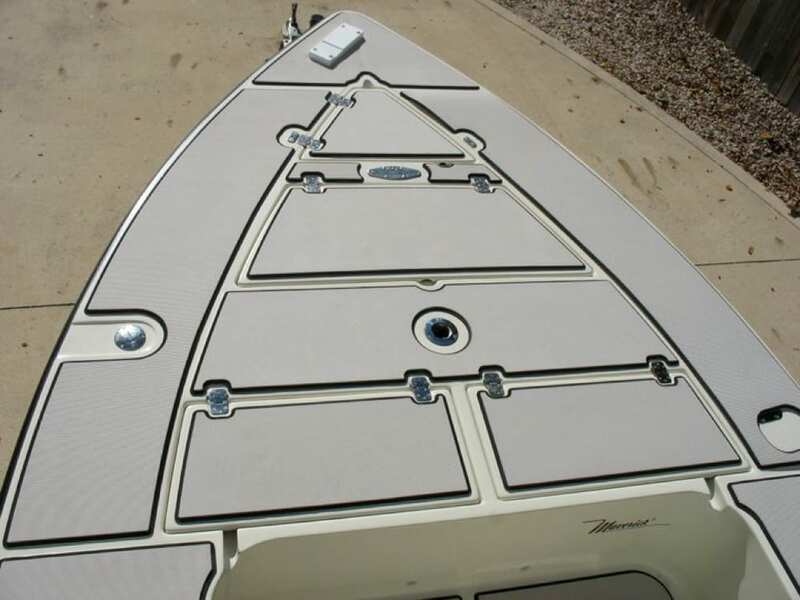 This particular boat is a 1996 model and is in great shape for the age. 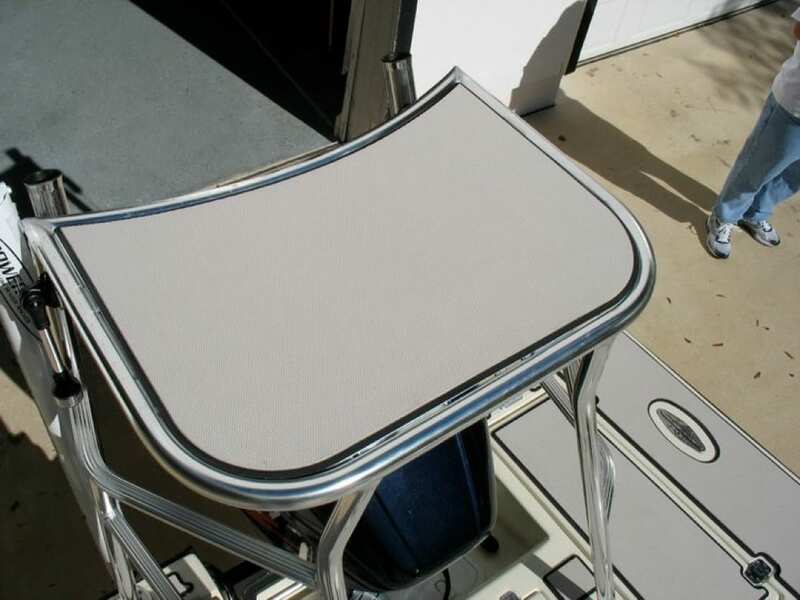 The owner takes his wife and kids on the boat frequently so he wanted something that would make it more comfortable when lounging around on the decks. 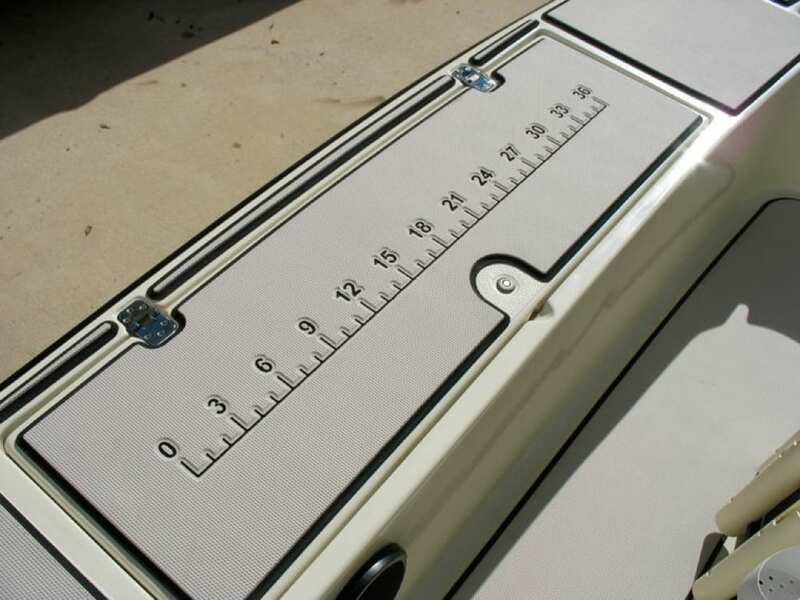 Standard thickness for SeaDek on most decks and floors is either a 5mm single color or a 6mm two tone. We decide to step it up just a little and go with an 8mm foam which is a combination of 5mm black with 3mm mica on top. This color combination contrasted very nicely with the color of the boat and the black underlay allowed us to add some ruler sticks on the gunnels to measure fish. 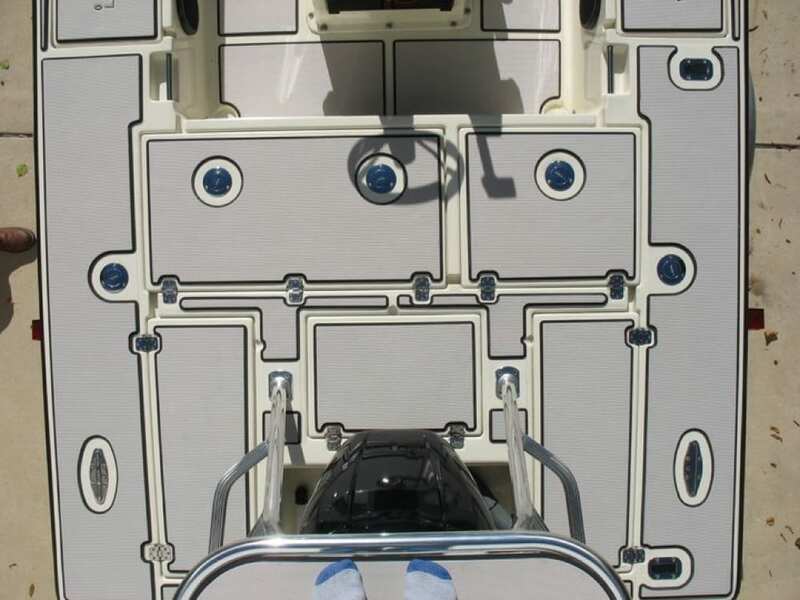 The little extra thickness provided by the 8mm will make his wife and kids more comfortable while on the boat. 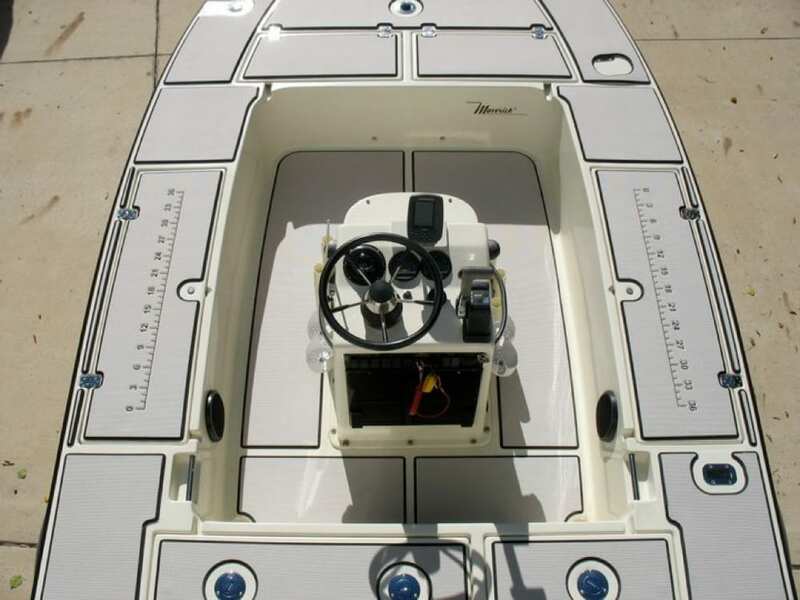 If you are looking to add any custom SeaDek to your Maverick or any other brand skiff contact Castaway Customs at info@castawaycustoms.com.